Roomshare for 2 and 1 bed is going to be available come April 2018. We’re looking for 1 female professional who can the room wth pur cousin. Safe compound with cctv. Apartment is still new. Bed and cabinet already provided. You just need to bring your electric fan. 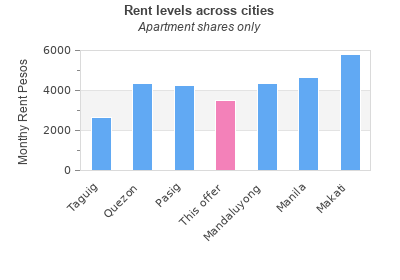 You searched for Tolentino St Pasay ( boundary of Makati and Pasay) and this page shows the full details of this accommodation to let. This Apartment is located in Sta. Clara in Pasay. This property has bedrooms, bathrooms and the rent is PHP 3500 monthly. This accommodation for rent was last updated on 2018-03-08 19:58:00. The classified has been displayed 462 only today. 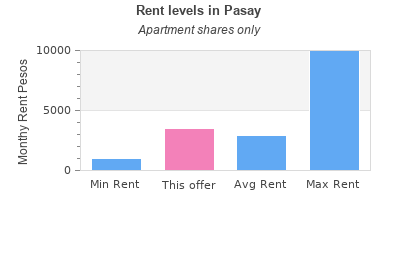 You can see other lettings in Pasay.